Rightfully named after the moon goddess, the Lunah vessel represents a balance between space, materials, and the lighter side of life. 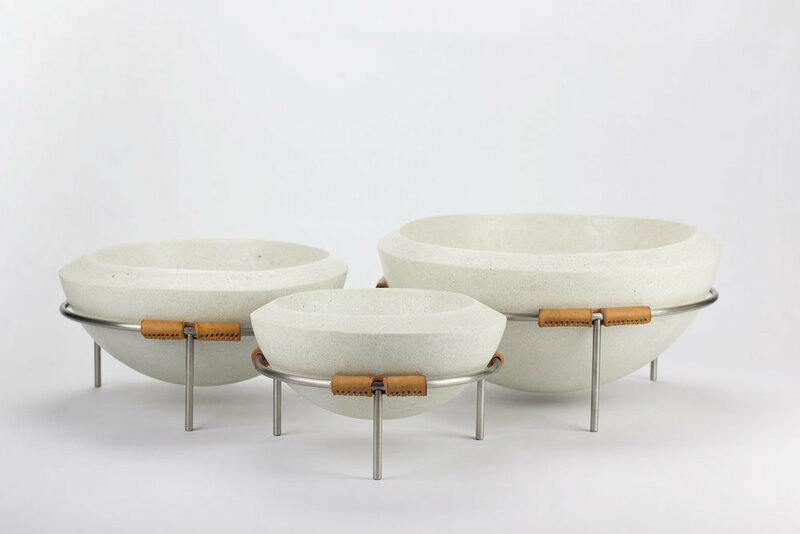 Each bowl is handcast, polished, and placed upon a stainless steel base with hand-stitched full-grain leather. Available in 8", 10", 12" diameters. They can be sold individually or in complete sets of three. Different combinations of colors and materials are also available upon request and further inquiry. Please allow up to 2 weeks for shipping as each Lunah vessel is handmade.